NorthBay Center for Primary Care has expanded hours daily and is now open on weekends in Fairfield and Vacaville, drawing enthusiastic reviews from patients. 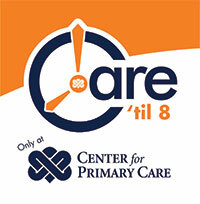 Called “Care ‘til 8,” the program serves current patients from any of NorthBay Healthcare’s three Center for Primary Care facilities Monday through Friday, from 8 a.m. to 8 p.m., and on Saturday and Sunday, from 9 a.m. to 8 p.m.at the 2458 Hilborn Road and 421 Nut Tree Road locations. Appointments can be made by phone and online, but walk-ins are also welcome. In addition to handling flu and other such illnesses, the Care ‘til 8 crew can also deal with cuts, sprains, casts and splints.